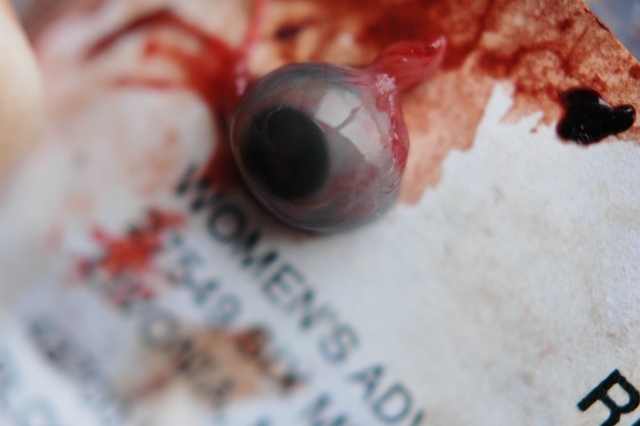 WARNING: The following images are very graphic. 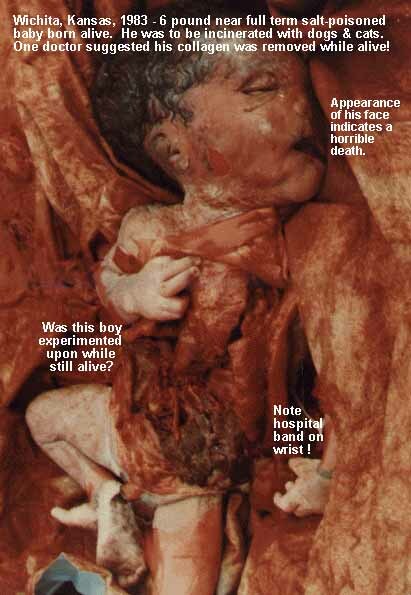 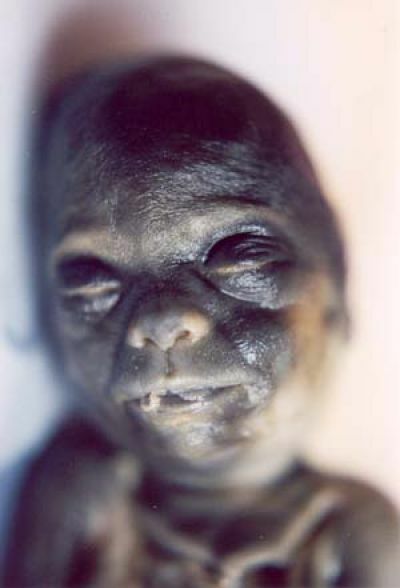 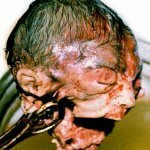 Click here if you do not want to see graphic images of aborted babies. 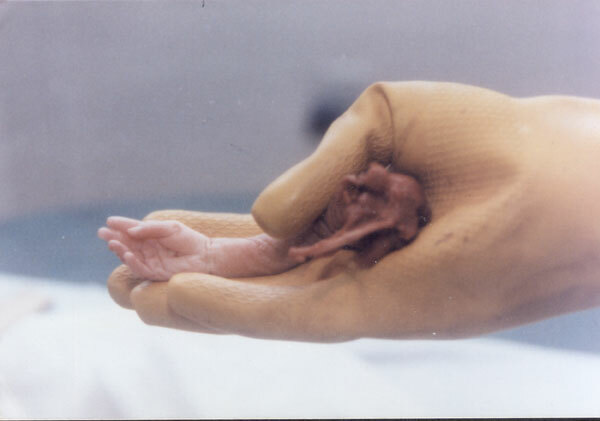 "America Will Not Reject Abortion Until America Sees Abortion." 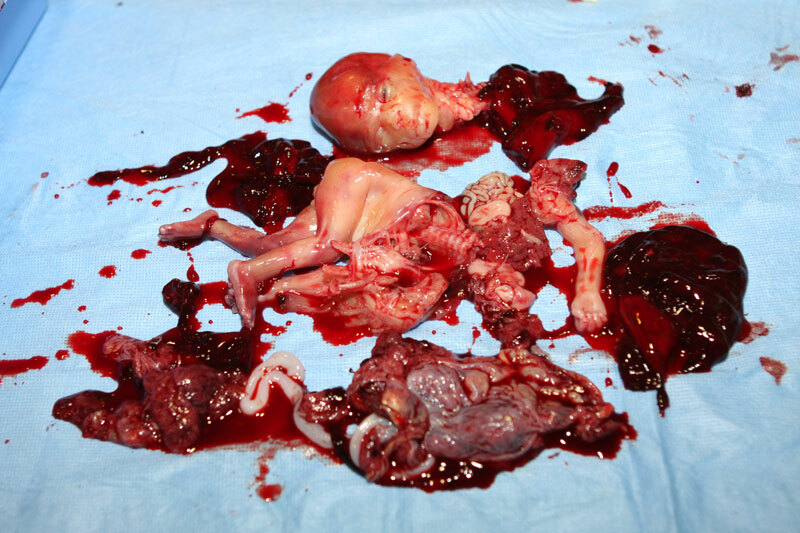 The womb has become the most dangerous place on earth. 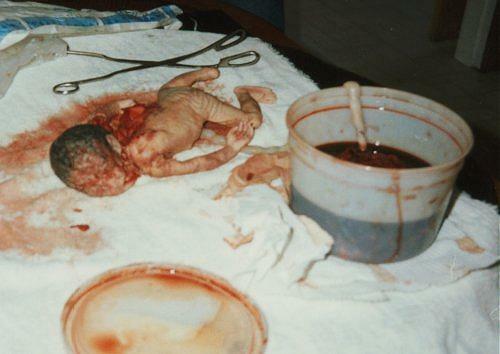 Abortion is a reality which is so horrific that words alone can never convey its meaning. 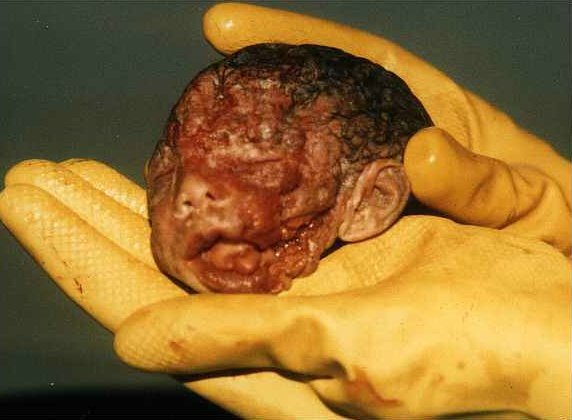 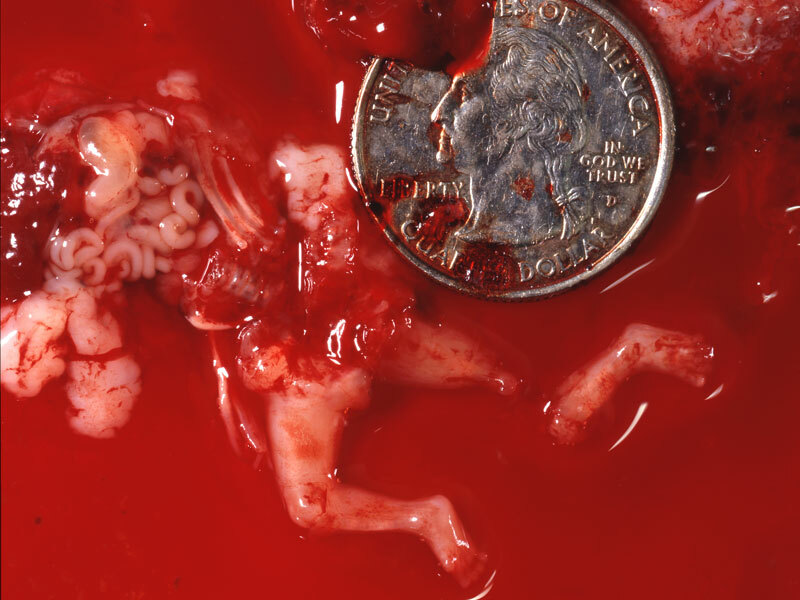 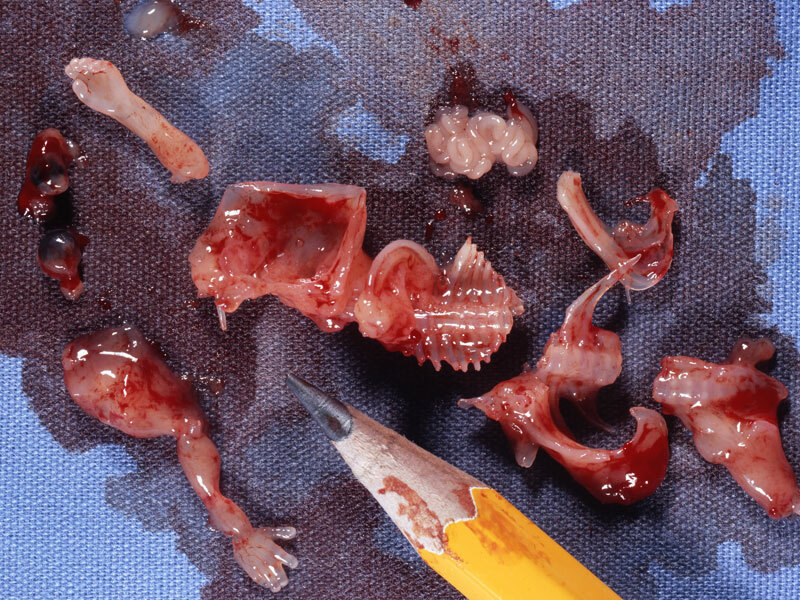 These pictures are the abortion industry's worst nightmare. 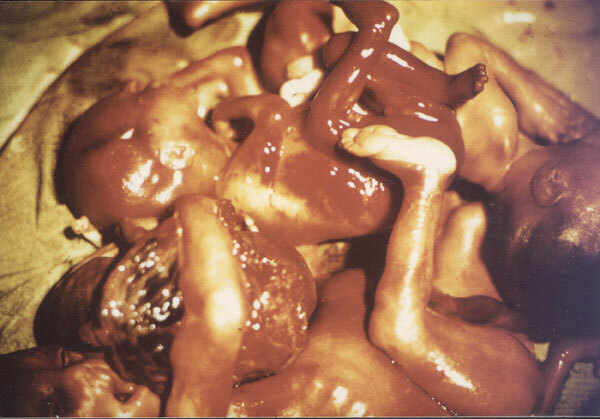 One of the many pro-aborts objections to these photos is to put out the pathetic propaganda saying that aborted baby pictures are "doctored." 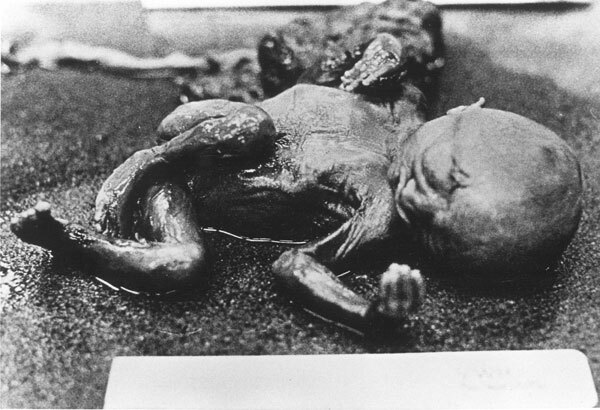 The same sort of tactic used by neo-Nazis in response to the condemnation of the Holocaust. 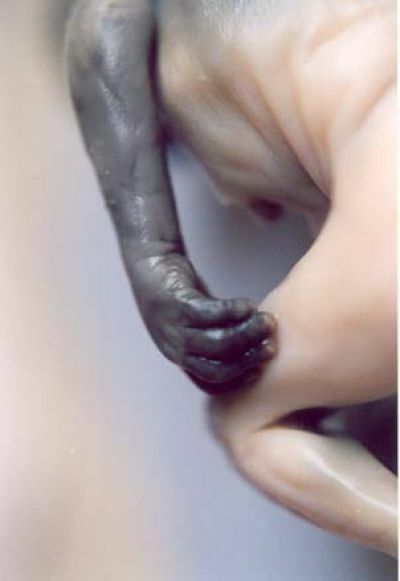 The real embryo is just a "blob of tissue" they say. 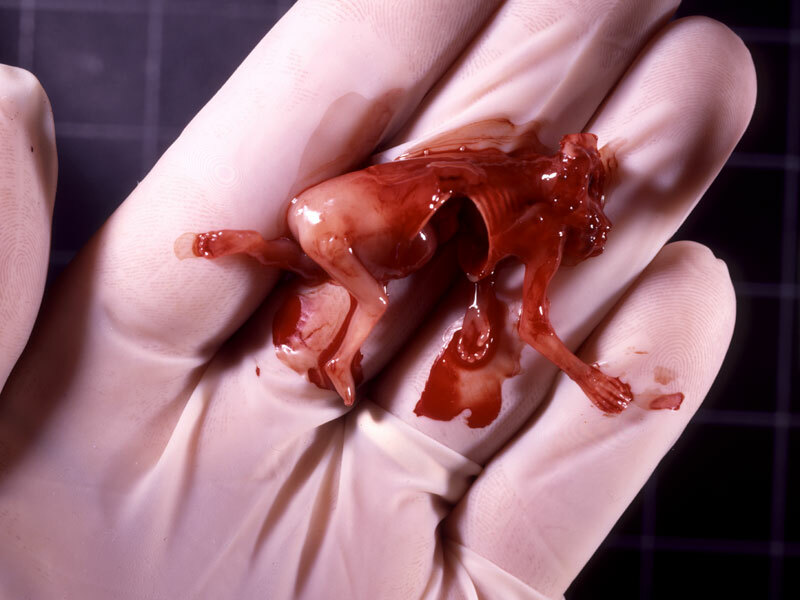 "Termination" is not an act of violence. 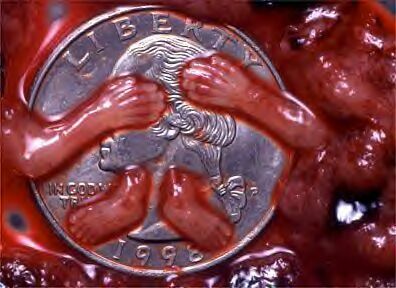 "Choice" is the lesser of two evils. 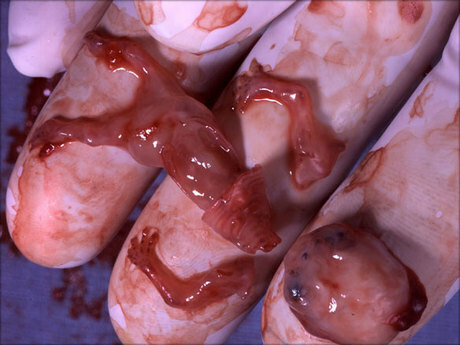 Not very creative but how else can they rebut photographic evidence of their dastardly deeds? 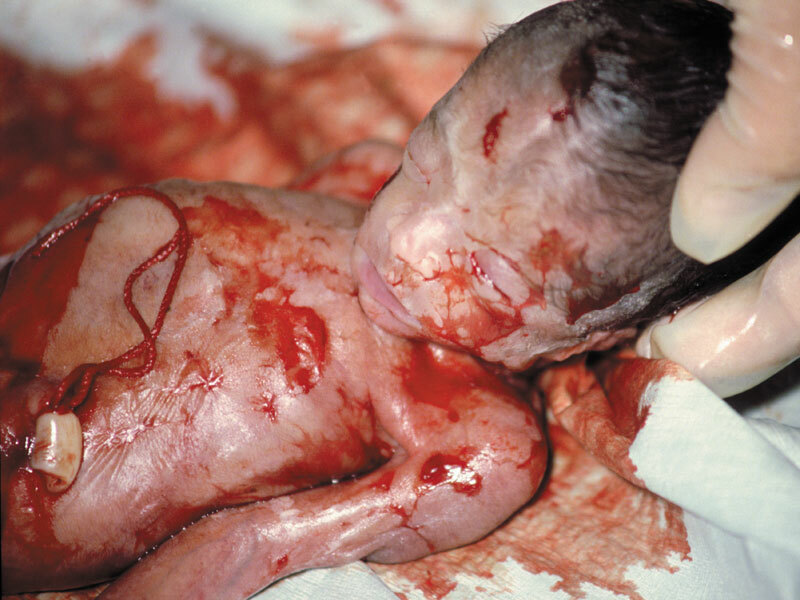 They are panic–stricken by the fear that "choice" will be unmasked as an act of violence which kills a baby. 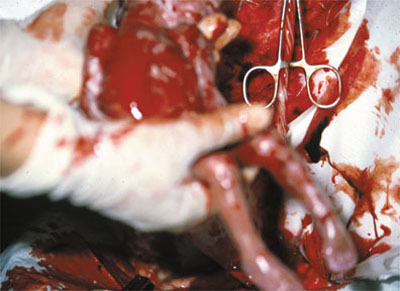 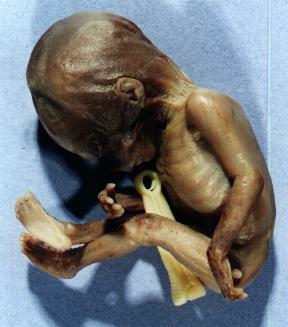 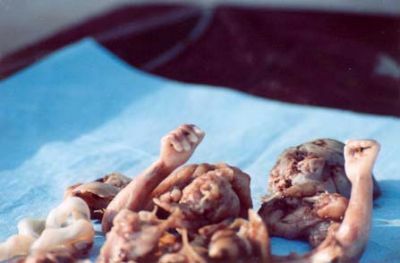 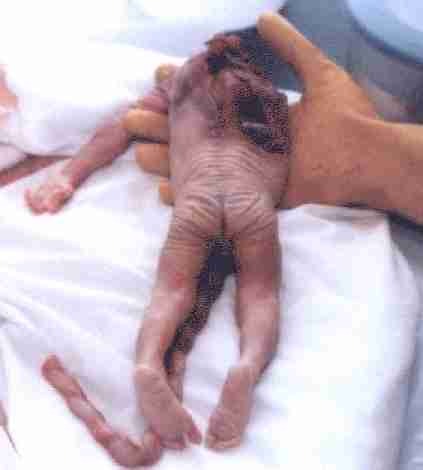 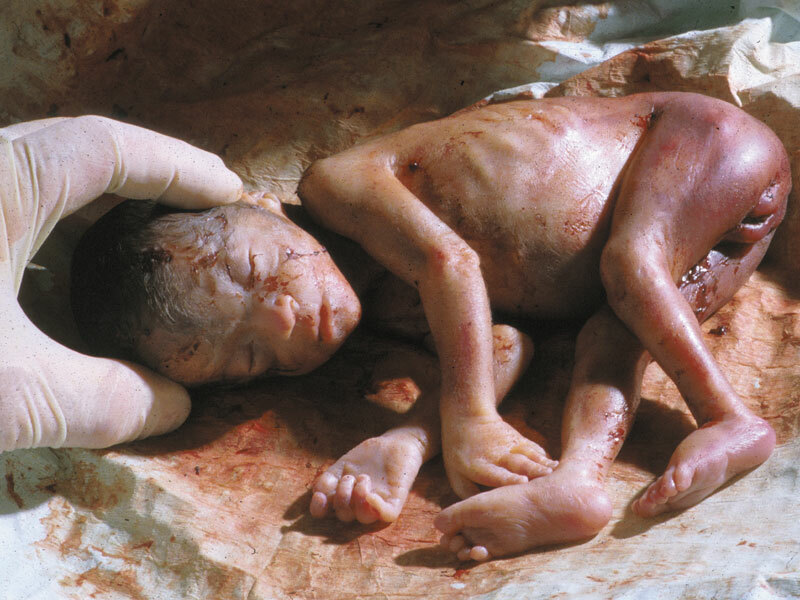 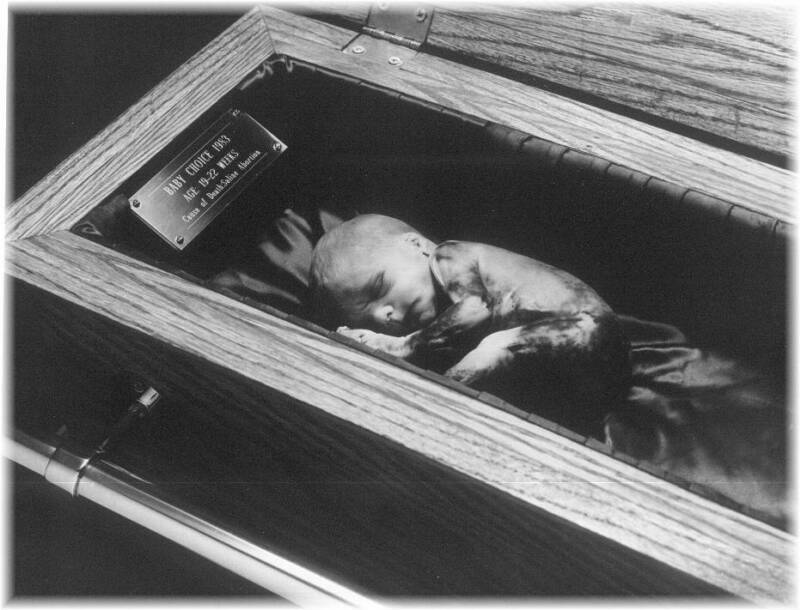 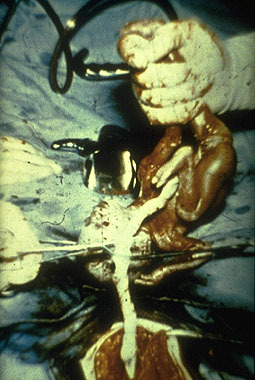 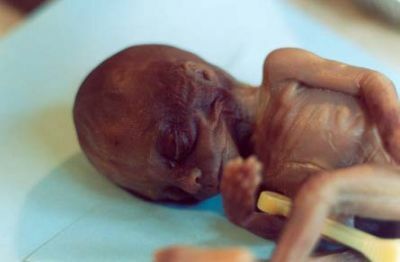 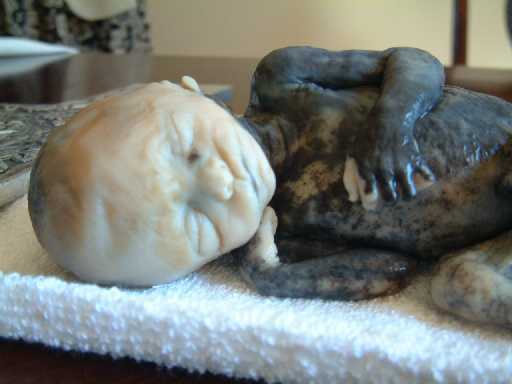 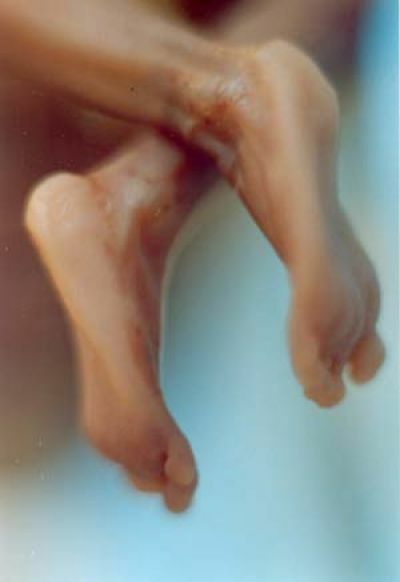 Abortion photos prove abortion is the violent killing of a premature baby. 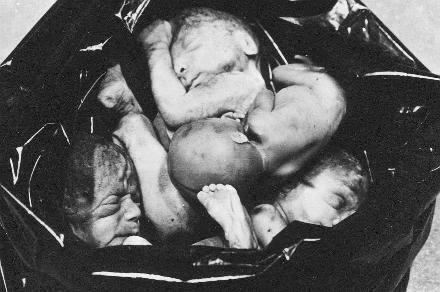 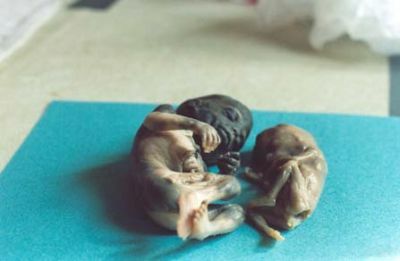 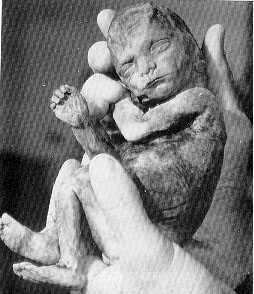 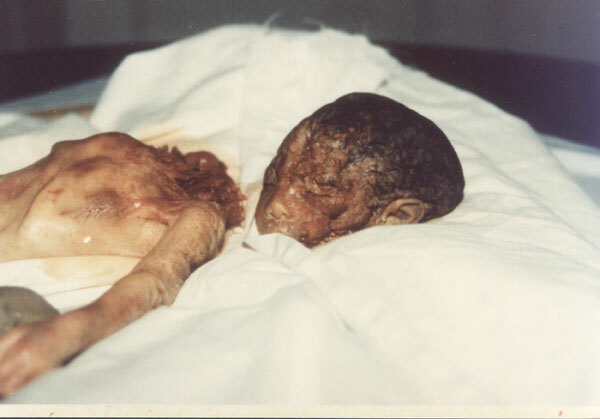 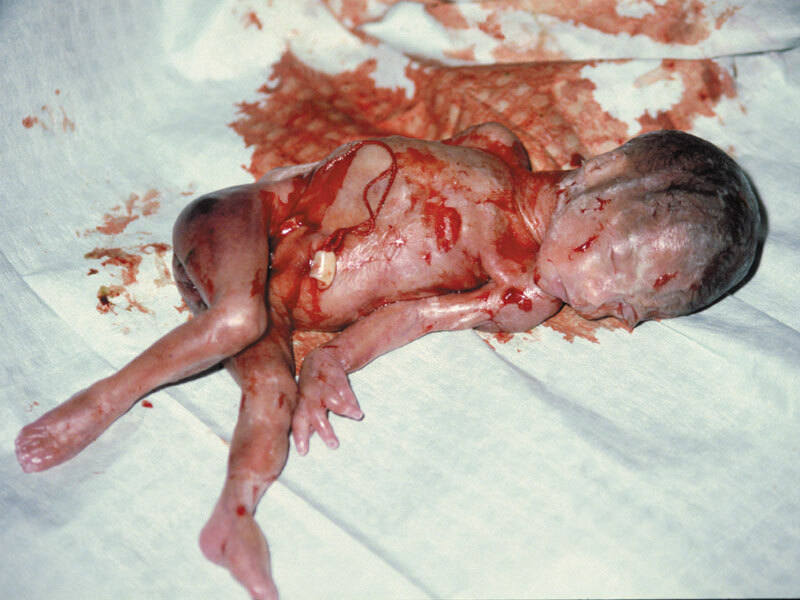 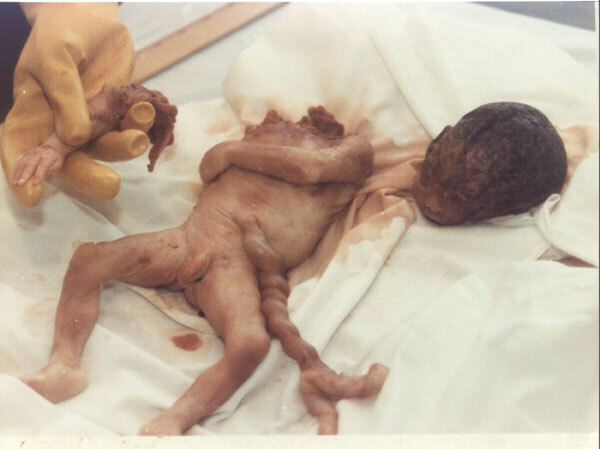 Remember that graphic abortion pictures exist because the aborted babies in these photos were killed by abortionists who were paid to "terminate" their pregnancy. 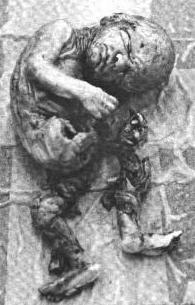 Like victims of the Nazi holocaust, aborted babies have no right to life. 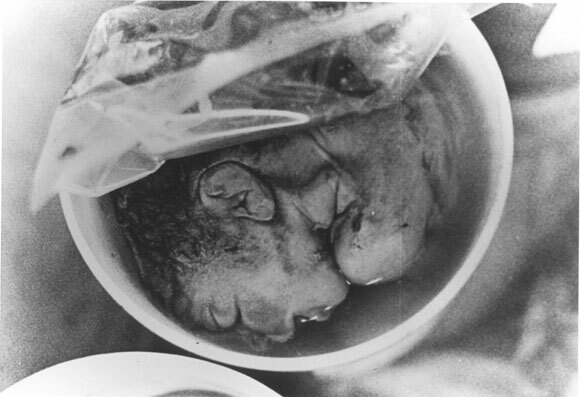 "Pro-choice" treats unborn babies just like the Nazis treated the Jews. 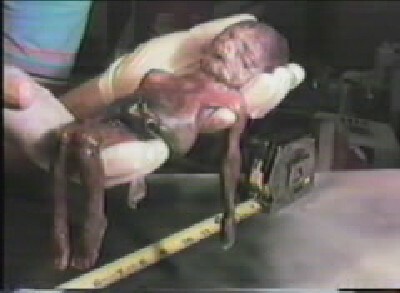 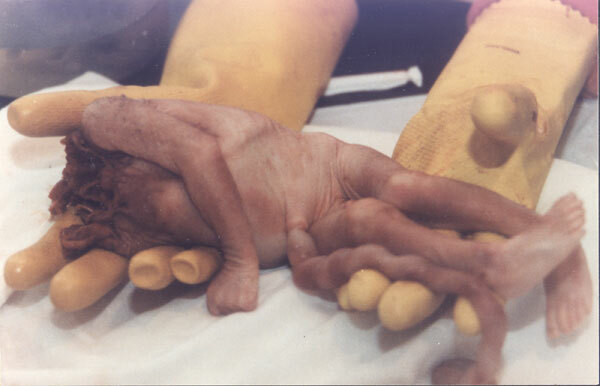 In America, thousands daily are tortured to death - torn limb from limb, chemically burned, and worse. 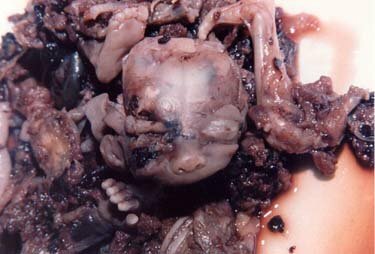 and all of those in the pro-life movement who have helped to document the horrors of abortion in pictures by taking photos of aborted babies. 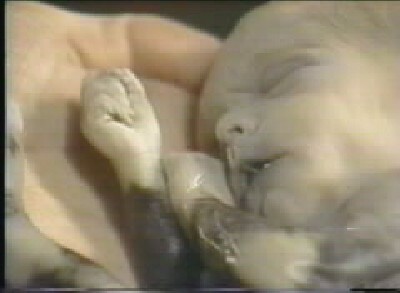 Call the 800# or click the link below. 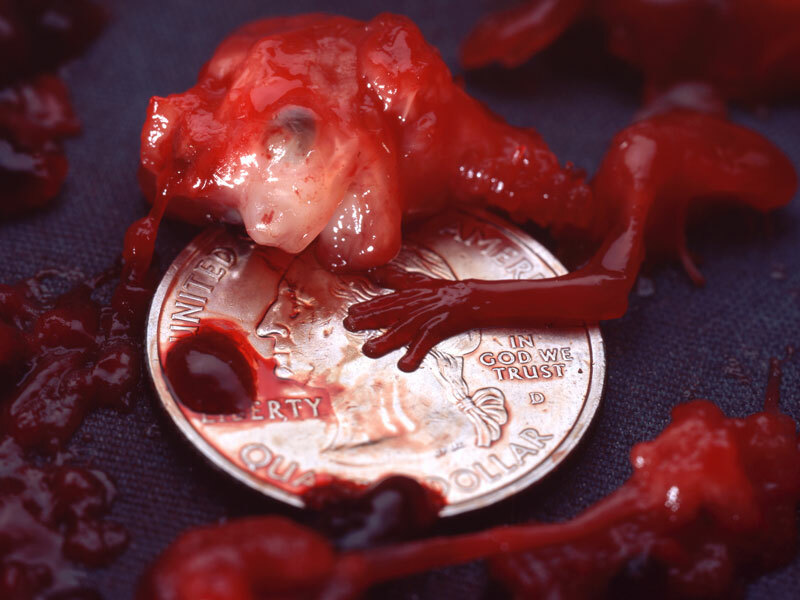 "The Reformation has never ended.